Does My Home Insurance Cover Sewage Backups? Did you suffer a sewage backup and aren't sure if you're covered? Sewage Backups are gross and hazardous to your health, so it's easy to understand why the first thing on your mind is to get it cleaned up and deodorized! But is there coverage for sewage backup under your home insurance policy? Unlike things like Water Damage, which are covered under most insurance policies (For more on this please see: What's the difference between All Risk and Named Peril Insurance Policies), sewage backup is generally handled separately under what is called a rider or endorsement. What this means is that coverage for sewer backups must be elected when purchasing your home owner's insurance. Most local insurance agents will recommend this additional coverage whenever they feel the need for this coverage may present itself in the future. If you don't have a local agent or purchased your coverage online, you may not have this valuable coverage or local insight. Aside from being a good addition to most home insurance policies, what do you need to know about Sewage Backup Coverage? As a rider to your existing home owner's insurance policy, many people may not realize that this coverage carries its own coverage limit. This provides a specific coverage limit for sewage backup claims that is often $ 5,000 or $ 10,000. While this is often enough coverage for a sewage backup, things like finished areas that may be affected can increase the costs quickly. In a sewage damage claim, the water is contaminated with bacteria, viruses, etc. As a result, things like drywall, carpeting, and other porous materials can usually not be dried out and saved. This increases the cost related to these claims. As a result, it is recommended to choose a higher coverage limit if available. While the specific terms of your insurance policy may differ, generally coverage that carries a separate coverage limit, such as sewage backup, does not incur a deductible. In most cases, adding sewage backup coverage to an existing home owner's insurance policy costs as little as $ 40 - $ 50 per year. Depending on how your insurance policy reads, coverage may be afforded for sewage backup claims when the blockage was found to be within your property line. A blockage that was found to be below the street for instance, would not be covered. For this reason, it is important to have your plumber detail where the blockage was in his reports. Should your insurance company request this information, you will be able to accurately support the cause of damages and where it was. As trees grow, their roots can damage sewer and water lines. Over time, they may block a sewer line to such a degree that a backup occurs. When this happens, responsibility may be determined by who owns the tree. If the tree resides on your property, this would be your responsibility, however there have been instances where the municipality was found to be responsible for trees that they had responsibility for such as those lining streets or in community areas. Depending on the cause of the sewage backup or the condition of the sewer system, your municipality may recognize their own liability for the sewer backup and assist in either covering the cost or otherwise assisting with cleanup efforts. 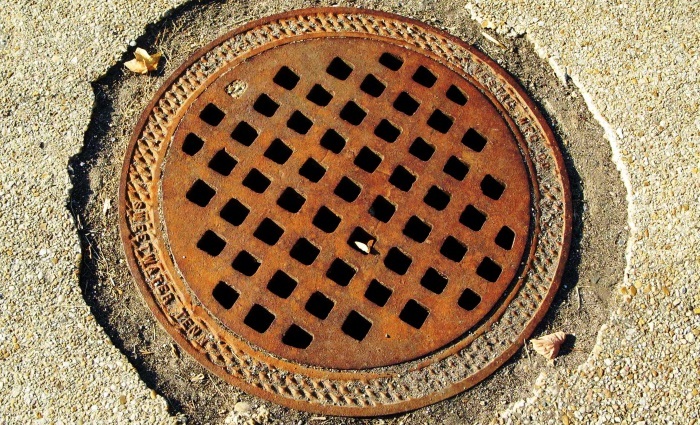 In cases where the municipality has assumed some liability for a sewer backup there is generally a concern that the system has not been adequately maintained and / or is lacking necessary upgrades that could have prevented the sewage backup from occurring. For this reason, it is generally a good idea to notify your municipality or sewage system vendor any time a sewage backup occurs. We hope you found this information helpful! Should you have a need for Sewage Backup Cleanup Services, please do not hesitate to Contact Our Offices!